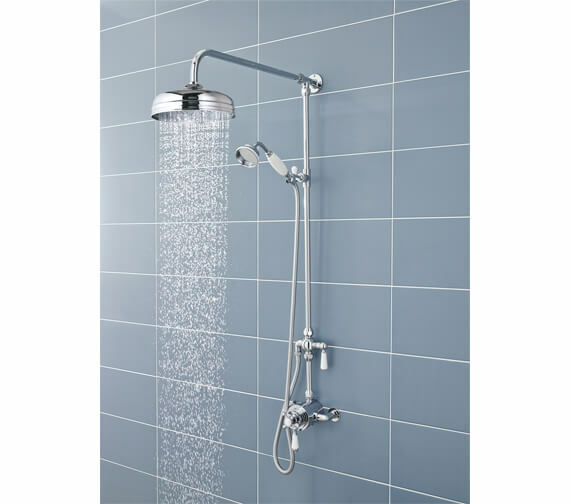 If you prefer a rainfall to a trickle then, Victorian Grand Rigid Riser Kit from Hudson Reed holds the key to your preference with its 8-inches wide shower head which is sure to drench you in a rainfall like experience. 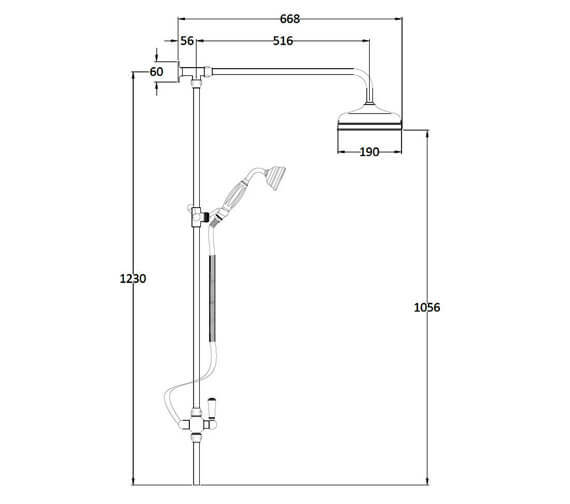 It also has a separate handset shower shaped like a telephone receiver for directing the flow to the desired parts of your body. 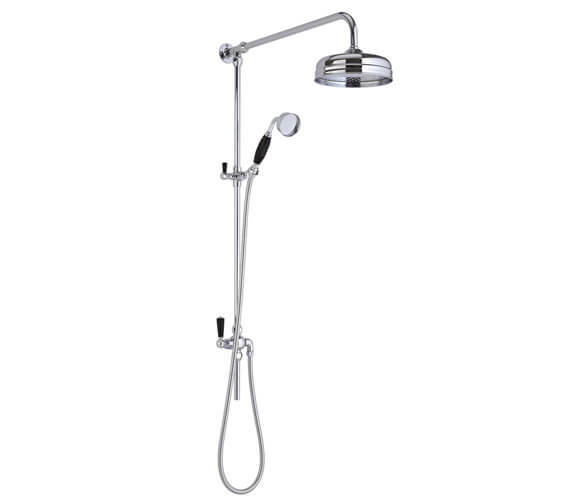 This brass bodied unit comes with a built-in diverter to alternate between the over-head and the handset shower. This is just a riser kit. 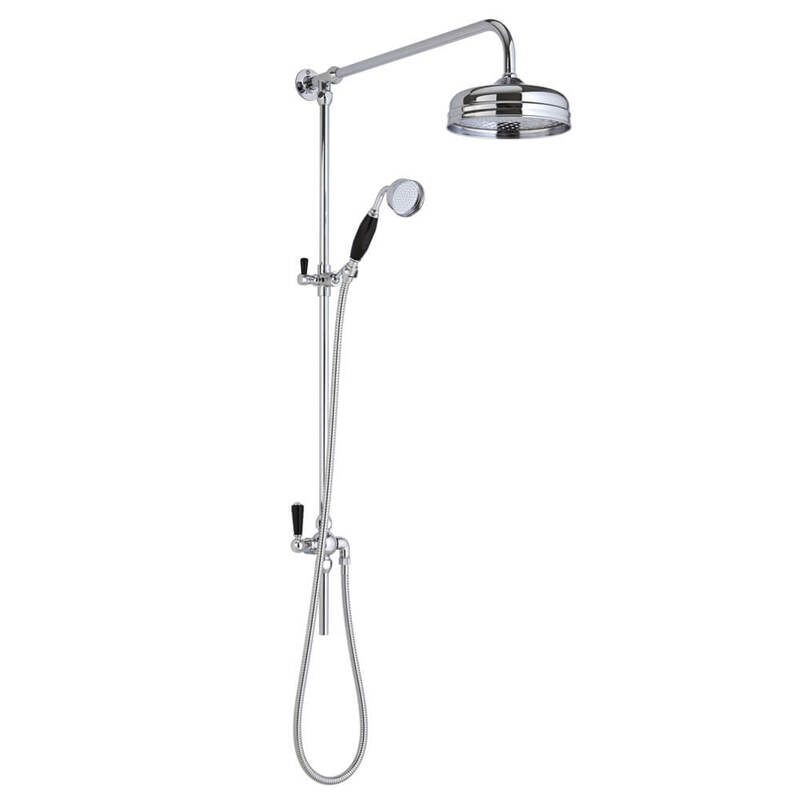 You would also need to buy the shower valve which is a Dual Exposed thermostatic shower valve. 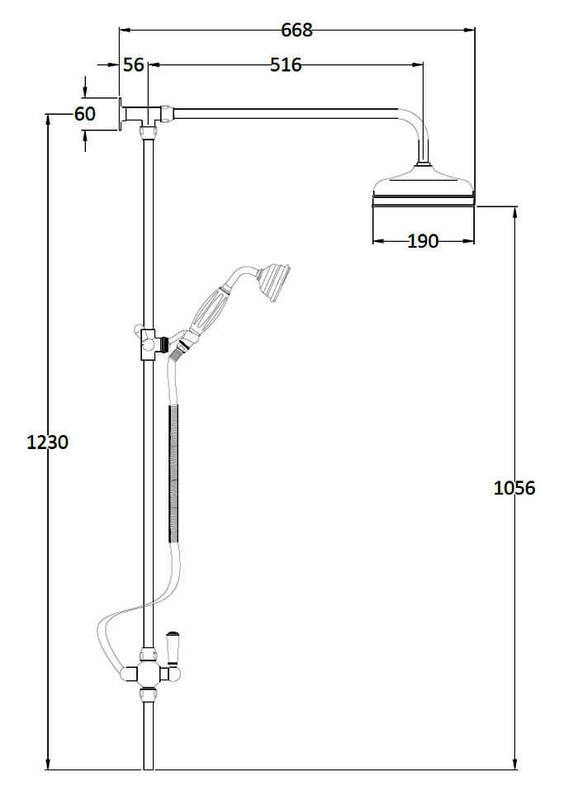 I understand that the shower can be shorted lengthwise, but can you short the pipe leading to the shower head as well? 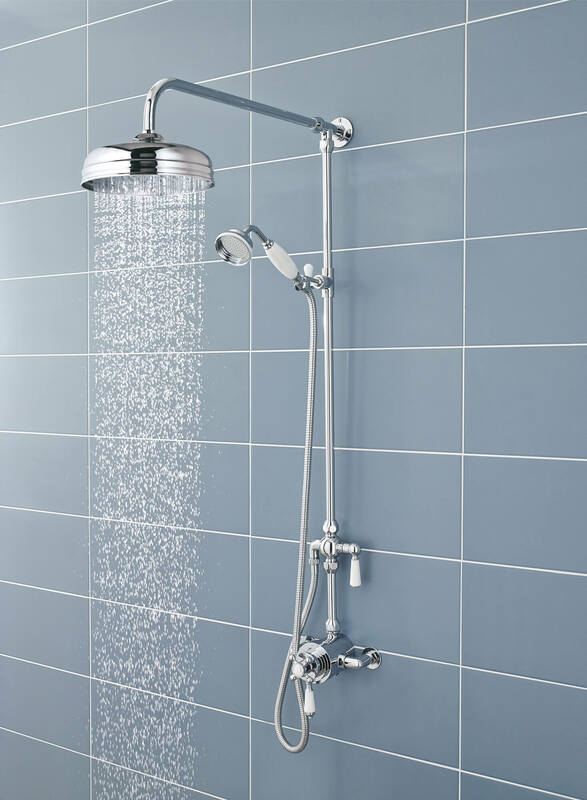 To get a shorter span between wall and shower head. Hello, Are the pipe centers 150mm for the hot & Cold feed which i believe is standard. Kindly clarify as to which pipe centres you are referring too. 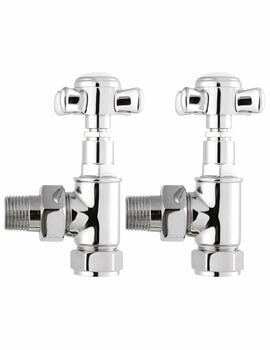 Pipe centres for hot and cold feed is related to shower valves. 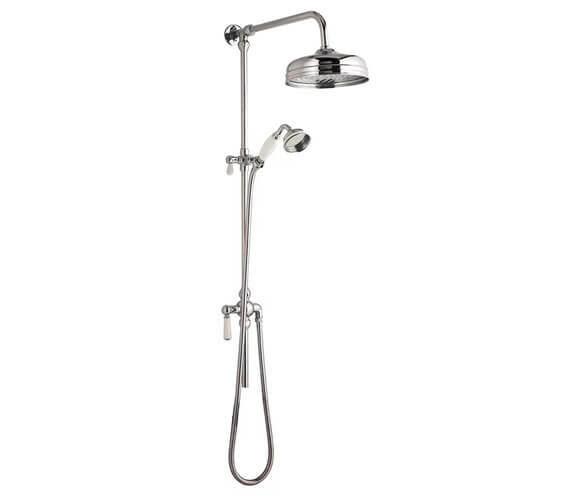 This product does not includes any valves. 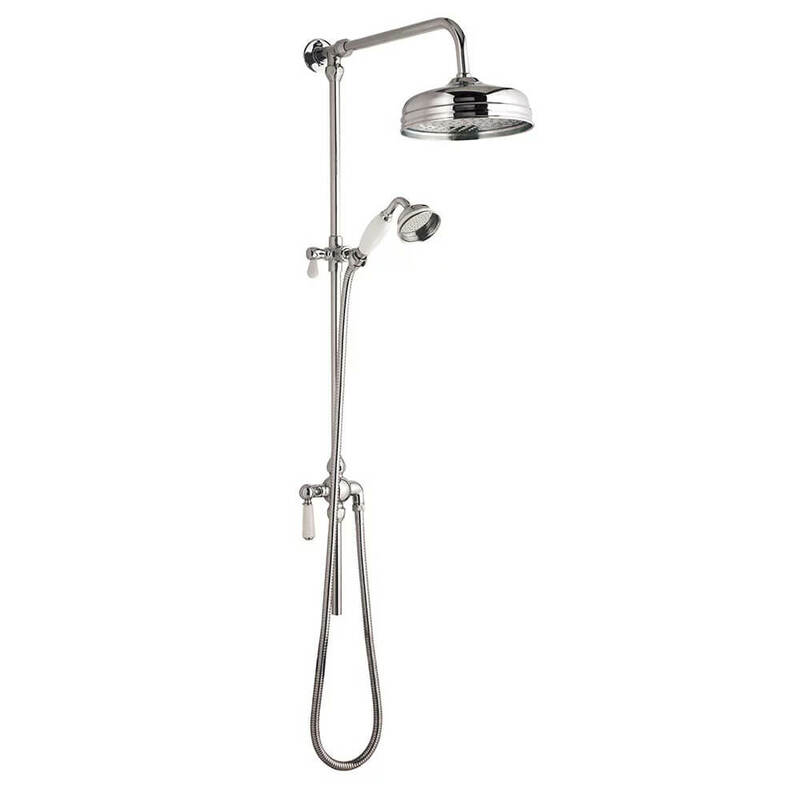 Hudson Reed Victorian Grand Rigid Riser Kit - AM312 Can you tell me the size of the shower head please? You will be able to cut this down from the top of the tube, just under the conical nut to the height needed.